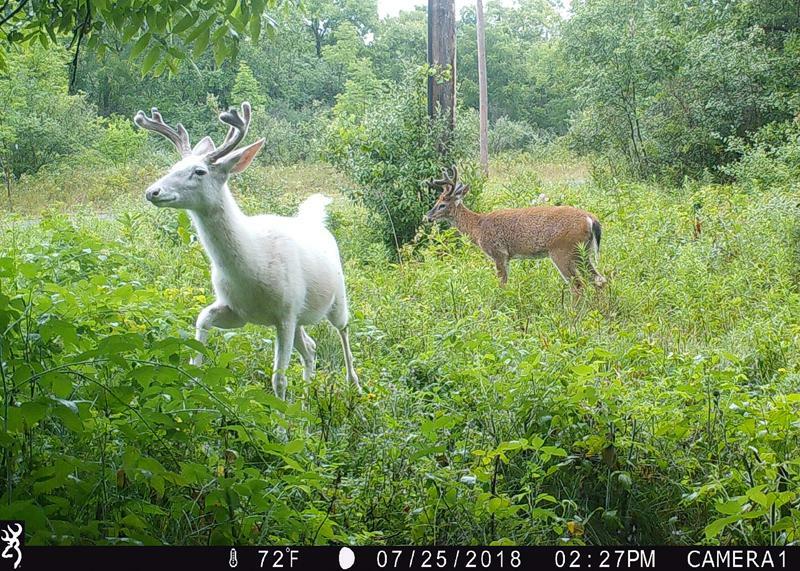 The National Deer Alliance (NDA) recently held a Velvet Buck Photo Contest, and not surprisingly Dennis Money’s shot of this New York albino buck took first place. Dennis’ grand prize was a Bear Legion compound bow package. 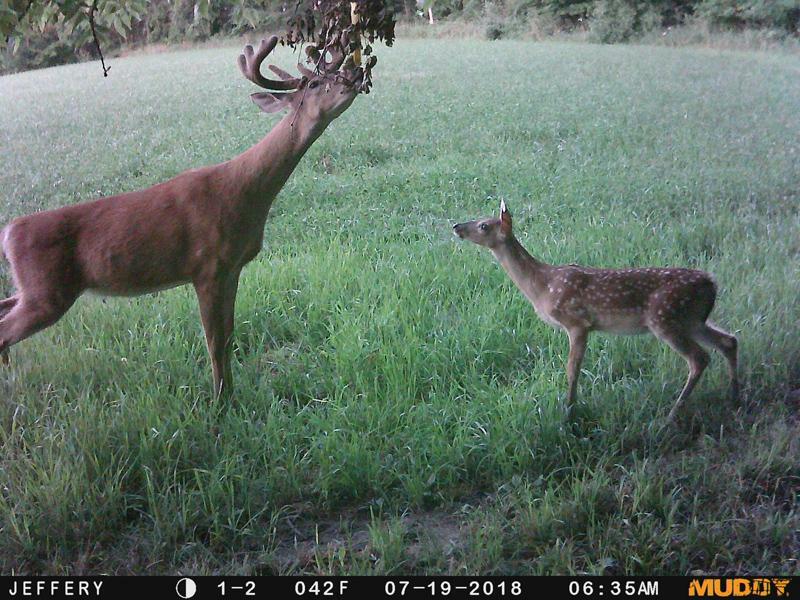 Second place went to Jeffery Antes, who captured this Michigan buck working a lick branch, with what I assume is a buck fawn looking on, hoping to learn the scraping ropes. Bucks make and use scrapes in July more than most people realize. BTW, you need to join the NDA, whose mission is to monitor current events in the deer-hunting world. CWD, new state laws, conservation, anti-hunters… This organization is dedicated to keeping us informed, to benefit America’s deer herds and to protect our hunting heritage. It’s free to join. You’ll receive a weekly newsletter with all sorts of current deer information and photos. How Will Hurricane Florence Affect Deer? If you are hunting in North or South Carolina or Georgia right now, Florence is going to wreck your plans for at least a week and probably longer. 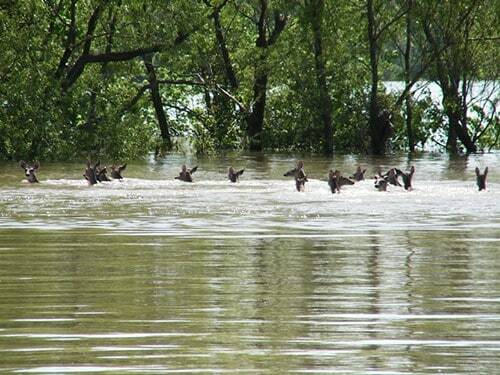 For many of you, access to your hunting land will be flooded and blocked. Tower stands could be blown away or damaged. How will this massive wind and rain event affect the whitetail deer themselves? In 2 words: not much. Many studies over the decades have shown that rising floodwaters of rivers and creeks won’t kill many if any adult deer, though it will displace the animals for days and weeks as they flee to higher and drier ground. 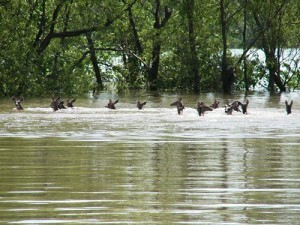 But the deer will eventually filter back into their home habitats and core areas once the waters recede. There is recent research to support this. A year ago, on September 10, 2017, the eye of Hurricane Irma, packing 135 mph winds and dropping 12 inches of rain, passed within 13 miles of a whitetail study area in southwest Florida monitored by researchers from Virginia Tech. Of the 60 deer that had been fitted with GPS collars in the study area, not one died during the hurricane. The researchers did find that collared does significantly increased their movements the day of the storm. Bucks moved a little less compared to the week before. All deer selected areas with higher elevations where flooding was less likely. Bottom line: While Hurricane Florence is not likely to kill many deer, it will certainly displace them for weeks. When things dry out and get back to semi-normal in a month or so, the hunting will be a little unpredictable as deer come and go back to their home ranges. But the bucks will be back, so hang tough. To all in the path of Florence, good luck and be safe. In May a mystery creature was shot and killed on a ranch outside Denton. What the heck is it? Locals buzzed about the possibilities. Some said wolf with weird genetics…others grizzly cub…conspiracy theorists screamed Dire Wolf, an extinct prehistoric carnivore that some people swear still lives…or Dogman, a relative to Sasquatch, a large cryptozoological creature that looks and walks like an upright canid. The canine creature shot in Montana a month ago that captured the curiosity of the nation is actually a gray wolf. DNA from the animal, which was shot legally by a rancher near Denton on May 16, was tested at the U.S. Fish and Wildlife Service forensic laboratory in Ashland, Ore. The lab compared the animal’s DNA with thousands of other DNA samples from wolves, coyotes and dogs. 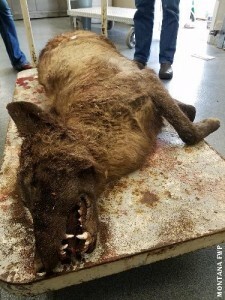 The conclusion was clear – this animal is a gray wolf from the northern Rocky Mountains. Physical variations aren’t unusual for animals, said Mary Curtis, geneticist for the U.S. Fish and Wildlife Service. “Within species there can be variability that’s not surprising at all,” Curtis said. I saw this picture on Facebook the other day and it ticked me off, so I did a little digging. KVAL in Eugene, Oregon, reports: “The wounds hadn’t killed the deer, which were seen walking around with the arrows sticking out of their bodies. 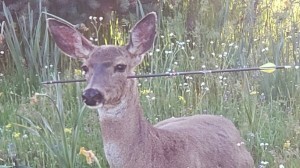 Biologists from the Oregon Department of Fish and Wildlife worked with Oregon State Police wildlife officers to track down the deer.They tranquilized the animals, removed the arrows and treated the wounds. “The deer – an adult doe and a yearling doe – showed no visible signs of infection. I am going way out on a limb here and saying this vile act was caused by one or two young people, likely late teens to mid-20s, out for a sick thrill. I have reported on these type of incidents many times in the last 20 years–the criminals almost always turn out to be thrill-seeking young men who were not raised as hunters or archers. Why he or they would pull such a cruel act is beyond me, but he/they need to be caught and punished. Authorities say this is the second time in as many years that deer have been illegally shot with arrows in this area. There is a reward for information on the person or people responsible. Call the Oregon tip line at 800-452-7888. Noticing movement inside the doe, Officer Jim Vernon sprung into action and performed a roadside C-section on the doe, saving the life of one of two fawns that the unfortunate doe carried. 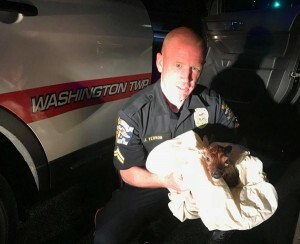 Animal Control Officer Robert Lagonera then arrived on the scene, took the fawn home, warmed it up, and rubbed its chest to help get the little deer’s underdeveloped lungs working. The fawn is apparently doing well and awaiting its new home. To these officers and to all their brothers and sisters in blue across the country, thank you for all you do every day!